TRH the Prince of Wales and the Duchess of Cornwall started their annual 3-day visit to Cornwall and Devon on July 18th. They visited a framers market, watched a performance of a Midsummer’s night’s dream, and attended a reception. 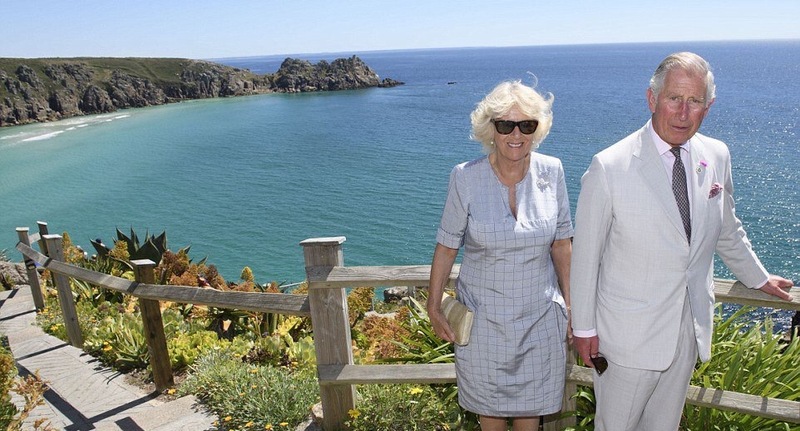 The Prince of Wales and Duchess of Cornwall started their day at the Penzance farmers market, and then went to the Minack Theatre for a performance of an excerpt from a Midsummer’s night’s dream. They also met the cast of the performance on the stage. Later, the Duchess of Cornwall attended a reception celebrating 10 years of the charity Fund for Youth. The Duchess also cut a cake celebrating her birthday on July 17th.